European Commissioner for Climate Action & Energy, Miguel Arias Cañete, poured fuel on the already tense relations between Morocco and the European Union (EU), when he said that the Morocco-EU agreement on renewable energies will have to comply with the judgment of the European Court of Justice. The EU Commissioner was referring to the Court’s ruling that partly cancelled the EU-Morocco Free Trade Agreement on Agricultural and Fishery Products concluded in 2012. However, the verdict was cancelled in appeal, in December 2016, with the court declaring invalid the challenge to Morocco-EU trade deals submitted by the Algeria-backed Polisario. 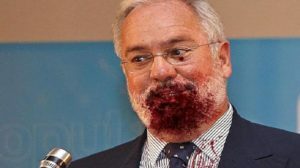 Cañete’s suggestion provoked an outcry on the Moroccan partner’s side, already concerned by the lack of firmness and clarity shown by the EU in the implementation of the agriculture agreement. In this regard, the Moroccan Ministry of Agriculture and Maritime Fisheries released a strong-worded statement on Monday, warning the EU against the obstacles deliberately erected to hamper the implementation of the farm deal. “The European Union should ensure propitious conditions for the implementation of the provisions of the agreement binding it to Morocco,” the statement said, adding, “The Agreement should be applied in line with the spirit that governed its negotiation and signing,” i.e. its implementation in its original version, which includes the Kingdom’s southern provinces. In clearer words, the Moroccan Government is ready to compromise on many things but shall never ever accept bargaining over its territorial integrity, leaving European authorities free to deal with a sovereign state or to spare European lobbyists who defend a puppet entity that is not recognized by the UN. In the event of an obstruction, Morocco will certainly have no difficulty in finding takers for its agricultural and fishery products.